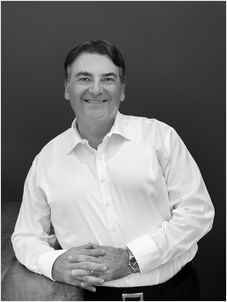 One of the most respected and longest-serving sales agents in the Inner West, Sam brings over 35 years of real estate experience and a rare depth of local market knowledge to the Roger Mickhail Property team. As Joint Principal of an award-winning Inner West agency for the past 20 years, Sam has built an enviable reputation for professionalism, exceptional client service, effective marketing and outstanding results. Highly motivated and hard working, Sam is a consistent sales achiever who has been ranked No.2 Auction Lister in a major franchise group, recognising his status amongst the best in the industry. Sam has always lived and worked in the Inner West, giving him a real understanding and love of the lifestyle attractions of the area and its people. Having worked with many long-term clients throughout numerous property cycles, he is recognised as an authority in the marketplace and a valued source of advice for home and investment, boasting an extensive client database and attracting high levels of repeat business and referrals. In choosing to bring his residential sales expertise to Roger Mickhail Property, Sam recognises the agency’s professionalism and presence in the local marketplace and has confidence in the strength of his new team. With the increased focus on residential sales, the agency can now offer clients a truly top level of professional service across all areas of residential and commercial sales, leasing and investment.